Leading Manufacturer of steam bath generator kimera, aristo steam generator and steam generator hero from Mumbai. We are passionately engaged in offering superior quality Steam Bath Generator Kimera. 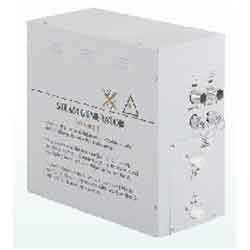 The offered steam bath generator is designed from the finest quality material and sophisticated technology, in adherence with set industrial standards. This steam bath generator is suitable for installation outside the steam room. We offer this steam bath generator in various customized options and deliver it within the promised time - frame. Keeping track of, contemporary market development we are offering Aristo Steam Generator which unites such extraordinary qualities. 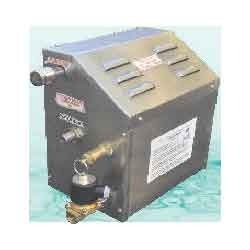 The offered steam generator is designed with the help of quality approved material and modular technology, in observance with set industrial standards. You can install the generator up to 60 feet away from the steam shower; our steam generator is checked on numerous parameters in order to deliver a defect free range from our side. We are exclusively engaged in offering a premium quality Steam Generator Hero. This steam generator has LED color indicators provides visual feedback for easy-to-navigate self-diagnostics. Our offered steam generator is designed with the help of premium quality material and advanced tools under the guidance of excellent professionals. Customers can avail this steam generator from us on numerous sizes & designs according to their requirements. 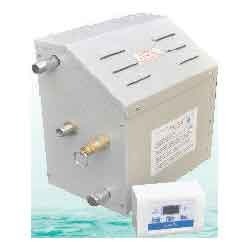 Available with time and temperature setting LCD control panel. Inner tank in 304 stainless steel for longer life. Compact and easy installing features for hassle free plumbing and installation.